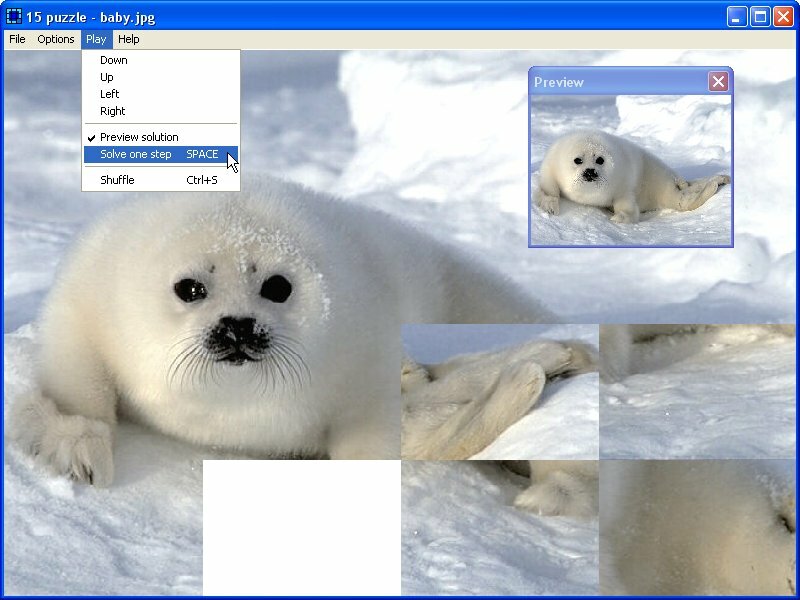 Description: If you had the 15 slide puzzle in childhood you won't fail to try this software. For some it will be an exciting discovery. The puzzle consists of a box with 15 numbered tiles that can be slided around to be arranged from 1 to 15. The freeware implements a shuffling algorithm that performs scrambling by random moving; therefore the puzzle is always solvable. Besides, it is possible to turn on simple sound effects and use different color schemes. Description: "15 Defense. Underwater Battle" This game gets you plunged into a tough fight on the bottom of some imaginary sea. Octopuses, piranhas and shark attacks won't leave you a spare sec! 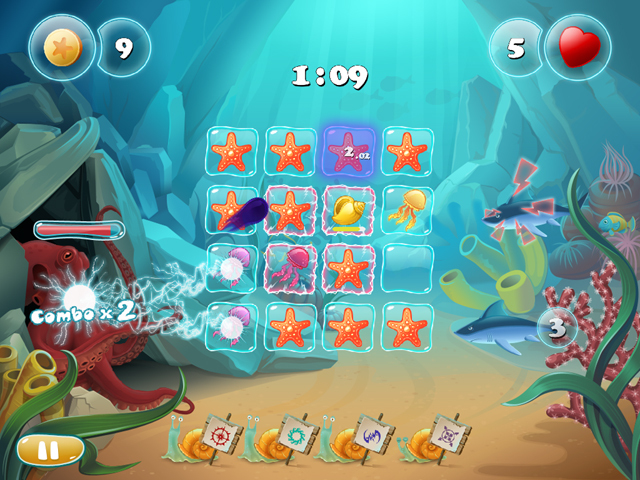 Move your jellyfishes and charge them to defend your small 4x4-cell kingdom. Counteract: freeze your enemies, sniper-shoot them and run away from their agression. Collect pearls, get money and upgrade your skills and talents to boost up your attacks and survival time. Description: In this puzzle you must move squares round a grid to place them in order. If you can't solve the puzzle, it will solve itself before your very eyes. With this program you can transform your favorite pictures (in bmp, gif, jpeg, pcx, png, tiff, or xpm format) into classic sliding puzzles. Also contains the Rate your mind pal puzzle. A clever variant of Sam Loyd's famous 14-15 puzzle. 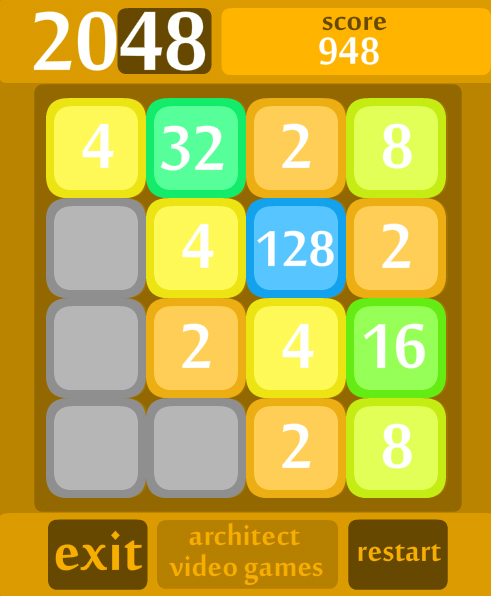 Description: The new interface is the legendary game 2048. It draws, nice pictures, high speed. All the Christmas spirit and good luck in the game!new year 2016 Christmas game. 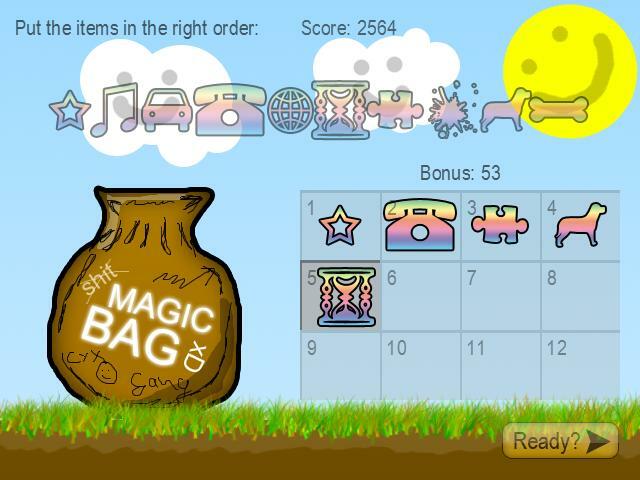 Description: This is a great game for all fans of the "three in a row" genre. Some birds got into difficulties and a sad state, being locked in a small cage. 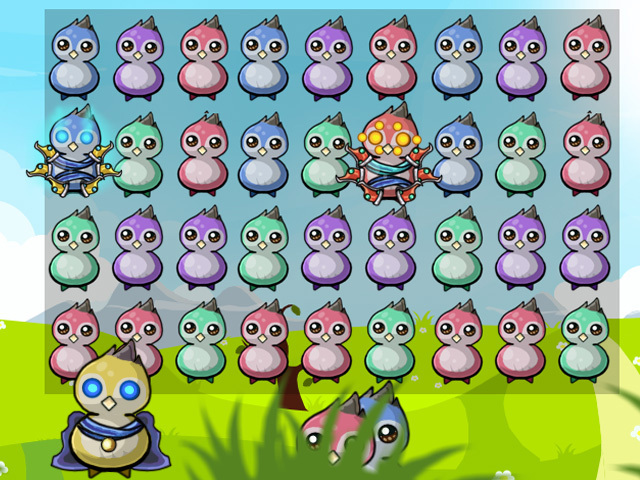 Help the birds of the same color reunite! Together they will cope with any disaster! Description: A free PDF document containing 365 Sudoku puzzles ready to print. Ein kostenloses PDF-Dokument mit 365 druckbereiten Sudoku-Puzzles.